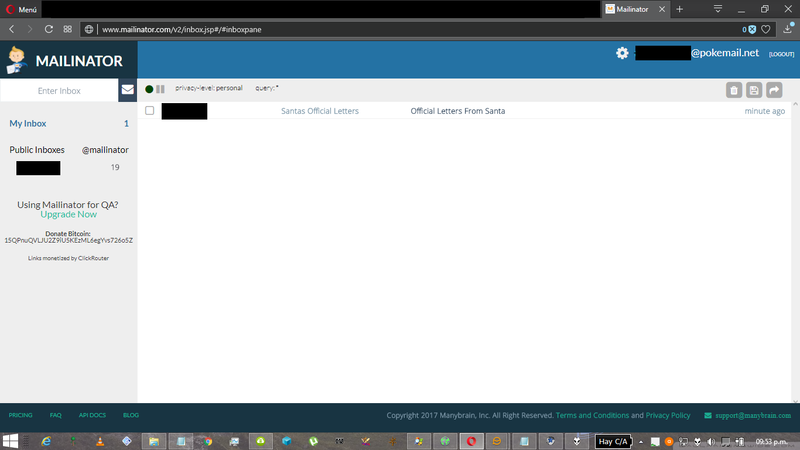 For the sake of privacy, I covered the first and second set of numbers from the IP. Click on image to enlarge (opens in another tab). Same window, notice the TOR circuit. I covered all of it except the two last sets of numbers from the last IP (so you can see that they match). You can enlarge this image as well. You have to bear in mind that the incoming emails are stored for a very limited lapse of time. Only one hour. So check your mail quickly if you are expecting something important! Guerrilla Mail has an app published for Android, as well. The inbox of the Guerrilla Mail’s Android app. The Android app has the advantage of being capable of sending notifications when a new mail arrives. But you can’t send mails through it… at least, not in a free way. You have to purchase credits first. 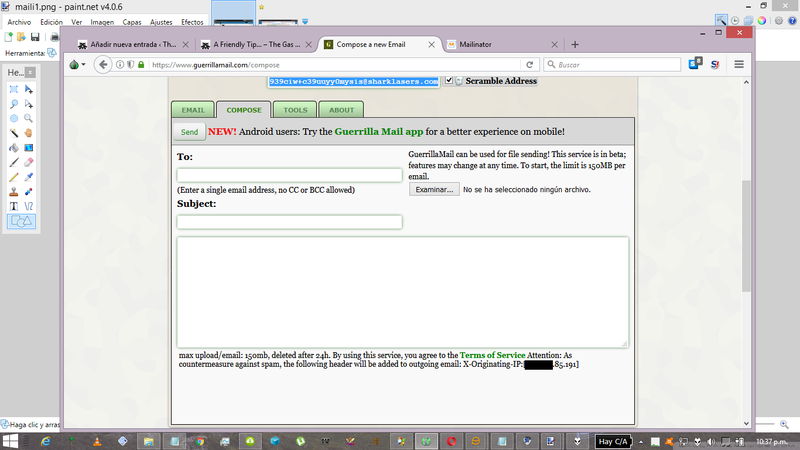 Sending email with the Guerrilla Mail Android app. Other disposable mail service is Mailinator. Its storage lapse is greater. Mails are kept in the server for 24 hours (opposed to the single hour of GM’s quarantine. Notice that Guerrilla will keep the mail for one more hour after the user checks his inbox. Then, it will definitely delete it!). You can also make an user on Mailinator, so to save interesting emails to your own personal inbox. And you can use Guerrilla Mail to register, too. You can pause the stream of incoming mails so your inbox doesn’t get flooded with too many emails, etc. Both services feature several domains (so if you get barred from registering with one domain, try another). Bear in mind that Mailinator is a receive-only service, as opposed to GM’s sending capabilities. 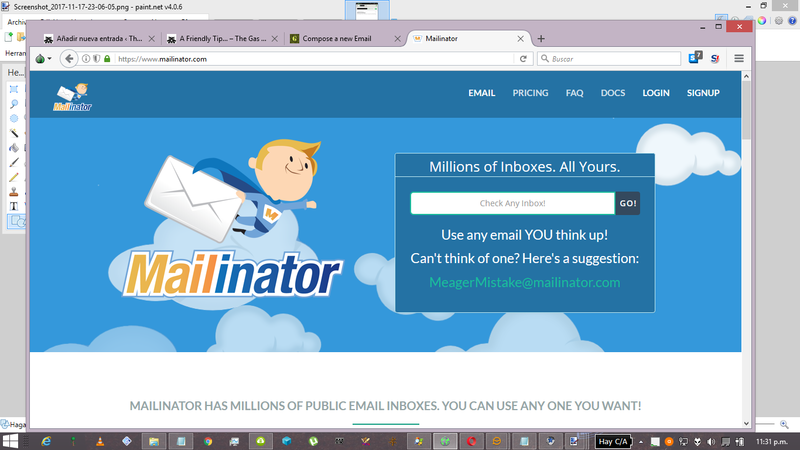 Also, Mailinator doesn’t have an app on neither mobile OS (no app for Ithings, nor Android). But if one really, and I stress this, REALLY wishes to get mails via other means that are not the website, you can pay for having access to the API. But this is a bit overkill, honestly, unless you are expecting a REALLY big quantity of emails (if you check the pricing section you can see the other perks the plans unlock, and all of them are a bit expensive). For a few mails, is not needed. Both can be used to register in sites that let you comment, like Disqus. Heck, you can even use Guerrilla Mail to register in Failberg as well! Bear in mind the limited time that it will store your mails, and, if you can, download the Android app for it. The notifications can really be a life saver when you want to not miss any of your mails! 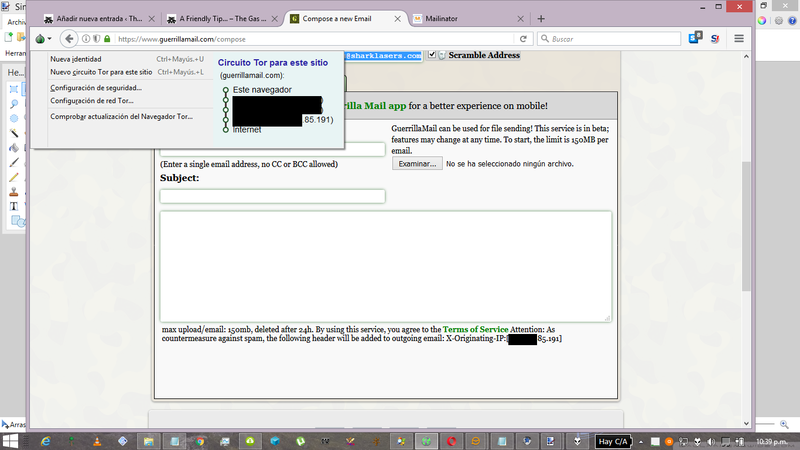 Also, Guerrilla Mail is more TOR friendly than Mailinator. Mailinator, if you access the site from the TOR browser, it will ask you to complete captchas, unlike GM. Please bear in mind that I mention these services because I use them (so I know them). If there are similar services that allow you to do the same, please tell me so in the comments. Also, DO NOT expect privacy for either service, due to the above mentioned. The mail addresses are PUBLIC, so anyone can read them. But since you don’t really care for whatever are you going to receive, because you know it’s spam or whatever, that’s not really a problem. Besides, it gets deleted fast. There Was Once a Time When Africa Flourished. I Wonder Why That Was? Autor Gas MaskPublicado el 17 noviembre, 2017 17 noviembre, 2017 Categorías ENGLISHEtiquetas africa,black race,civilization,failed state,mugabe,niggers,white race,zimbabwe45 comentarios en There Was Once a Time When Africa Flourished. I Wonder Why That Was? This is wrong on so many levels… Read the news piece to know why. WTF?! EU Parliament requested to debate #FarmMurders in South Africa. Unsurprisingly they voted against it. They probably jumped out of their chairs to vote in favor of international intervention to end Apartheid. Autor Gas MaskPublicado el 17 noviembre, 2017 17 noviembre, 2017 Categorías ENGLISHEtiquetas eu,farm murders,killers,niggers,sellouts,south africa,white genocide1 comentario en EU Parliament requested to debate #FarmMurders in South Africa. Unsurprisingly they voted against it. They probably jumped out of their chairs to vote in favor of international intervention to end Apartheid. Guess the race… Typical non-White behavior.